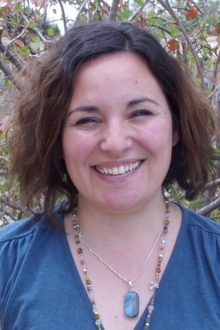 Paula is the coordinator of the “Taos Loves Kids” program, which provides parenting classes and support for parents and caregivers with children 0-5. Paula was born and raised in Argentina and moved to Taos in 2007. She received her Bachelors of Education from the University of Mar del Plata, Argentina and her Masters of Social Sciences from the University of Tandil, Argentina. Paula and her family had the opportunity to experience First Steps as clients first. The program had such an impact on Paula that later on, she joined them as Home Visitor. Paula loves teaching; she facilitated classes for Children’s Trust Fund for five years. She enjoyed connecting with families, supporting them and letting them know that they are not alone in the parenting journey! Paula is a certified instructor of Love and Logic, Circle of Security and Infant Massage. She received her infant mental health endorsement in 2018. Paula is passionate about supporting families grow and thrive. When not working, she loves spending time with her family, baking and making crafts together.